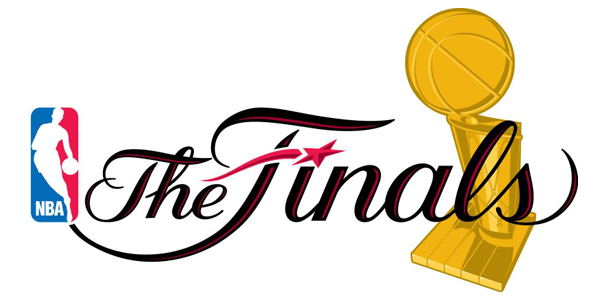 Tag Archive | "2015 NBA Finals Predictions"
2015 NBA Finals Odds and Predictions – Golden State Warriors vs Cleveland Cavaliers NBA Finals Picks: The 2015 NBA Finals officially begin with Game 1 action set to tip off at 9:00 PM EST on Thursday night from the Oracle Arena in Oakland, California. The Eastern Conference Champion Cleveland Cavaliers will take on the Western Conference Champion Golden State Warriors in what should be one of the most exciting and watched NBA Finals in many years. The Cavaliers are led by the best player in the world, Lebron James, while the Warriors are led by 2015 NBA MVP winner Stephen Curry. The odds makers at Bovada Sportsbook have listed the Golden State Warriors as -200 favorites to win the series and their 2nd NBA Championship in franchise history, while the Cleveland Cavaliers are being listed as +170 underdogs to win the series and take home the 1st NBA Championship in franchise history. Golden State is currently listed as -5.5 point favorites to win Game 1 with the game total for game 1 listed at over/under 203 points currently at Bovada. A lot will be at stake in this NBA Finals as legacies will be made with Lebron James trying to be an all-time hero in the state of Ohio and the city of Cleveland by leading the Cavs to their first title and the first professional championship in any sport since the Cleveland Browns won the 1964 NFL title(pre-Super Bowl era). A win in these NBA Finals would give Lebron three career NBA Championships matching the great Larry Bird’s career total and also give him the honor of leading two different franchises to NBA Championships which is something that even all-time greats like Michael Jordan, Magic Johnson and Bird were never able to accomplish. Of course, those three players never had the chance as they played their entire careers with one team but it still would be a great accomplishment for King James. Meanwhile, the legacy of Stephen Curry will only further get cemented in the Bay Area if he is able to lead the Warriors to their first NBA title since their one and only NBA Championship in 1975. Curry was a well deserving winner of the 2015 NBA MVP Award and his play in the 2015 NBA Playoffs so far has done nothing to question his winning of the NBA’s most prestigious individual honor. You can check out the latest 2015 NBA Finals Odds and NBA betting odds daily on our website from Bovada Sportsbook. Our official 2015 NBA Finals Series prediction is below. Good luck. Check out more free NBA expert picks from BettingOnlineUSA.com each day. 2 EASY STEPS to PLACE A BET on 2015 NBA Finals Odds! 2015 NBA Finals Odds and Futures – Warriors, Cavs the Favorites to Win 2015 NBA Title: The 2015 NBA playoffs are just a couple months away and the contenders are starting to separate themselves from the pretenders in the chase for the 2015 NBA Championship. The vegas oddsmakers keep daily odds on the teams to win the 2015 NBA Title and the current vegas favorites to capture the Larry O’Brien trophy are the Golden State Warrriors at 3/1 odds from the Western Conference and the Cleveland Cavaliers at 4/1 odds from the Eastern Conference. Golden State currently leads the NBA with the best overall record at 43-9 while the Cleveland Cavaliers have been arguably the hottest team in the league lately as their recent hot stretch has brought them to 34-22 overall and just one game back in the loss column from the Chicago Bulls in the race for the NBA’s Central Division title. Other top NBA contenders with the best odds to win the 2015 NBA Finals and capture the NBA Championship are the Oklahoma City Thunder at 7/1 odds, Atlanta Hawks at 17/2 odds, San Antonio Spurs at 17/2 odds, Chicago Bulls at 9/1 odds, Memphis Grizzlies at 10/1 odds, Dallas Mavericks at 14/1 odds, Los Angeles Clippers at 18/1 odds, Toronto Raptors at 22/1 odds and the Houston Rockets at 28/1 odds. There is still plenty of NBA basketball to be played and anything is possible, but it is our belief and the belief of many Las Vegas sharp bettors that the NBA Championship will ultimately be won be either the Warriors, Cavaliers or Spurs. All of the other contenders simply have too many question marks and glaring weaknesses to be able to realistically navigate thru the entire grueling NBA playoff season and come out on top. You can place a wager on who you believe will win the 2015 NBA Championship by placing a bet at #1 online sportsbooks BOVADA and get a FREE $250 BET. 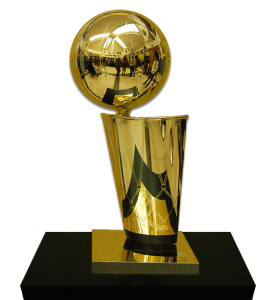 You can view all of the LIVE daily updated odds to win the 2015 NBA Finals everyday on BettingOnlineUSA.com. Good luck! 2 EASY STEPS to BET on 2015 NBA Finals Odds! STEP 2: Deposit with Credit Card or Deposit by Check and get a 50% BONUS instantly upto $250 FREE on your 1st deposit.